In an emergency, companies must always be able to rely on their supply of power. If a problem arises, important electrical systems must have an independent source. Backup power has a key role in this. Backup power systems protect life and property from the consequences of the loss of the primary electric power supply. When institutions such as hospitals experience a failure in either their power or their temperature control systems and can no longer function effectively, it can quickly become a matter of life and death. Other backup power applications include scientific laboratories, data centres, telecommunication equipment and ships. These are all environments that need continuous power and use backup power systems to keep operating without loss. 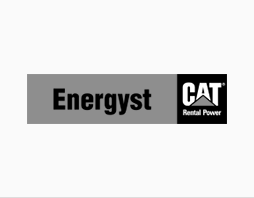 At Energyst, we understand that you need a fast and reliable partner. A partner that is able to supply effective equipment you can rely on. Our highly responsive service team will find the best solution for you. We develop project plans and technical drawings to create custom systems and optimal solutions for specific problems, projects, sectors and branches of industry. We provide help and support for planned power outages. We work closely with many CAT dealers around the world. In line with the CAT philosophy all local dealers take safety seriously by meeting all the relevant electrical standards and legislations. With a contingency plan and the use of backup power, Energyst will take preventive care for when a power outage is planned. To find out more about our design and engineering expertise in emergency or backup power, or to ask our advice on power, heating or cooling rental solutions, contact us.